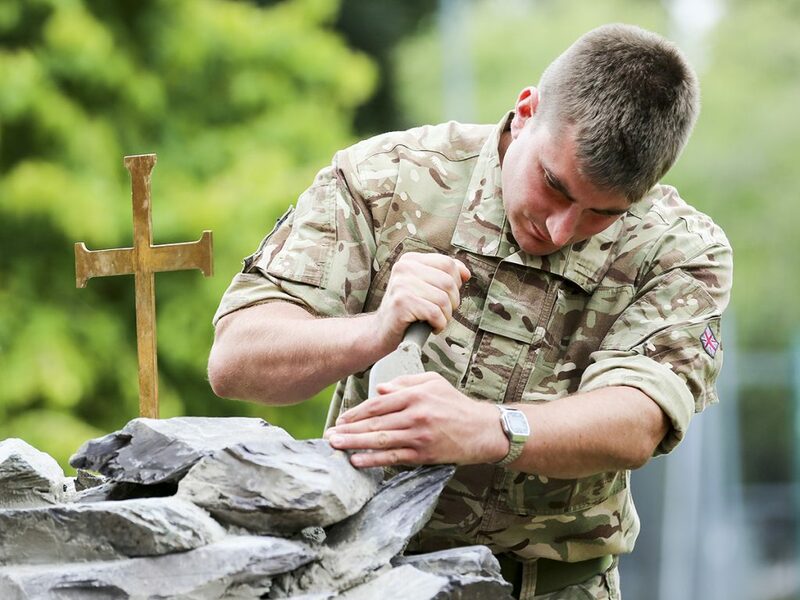 The Royal Airforce Cosford Chaplaincy recently created a garden of reflection called the Phoenix Garden designed for use by all Service personnel, their families and Veterans living in the Shropshire area. 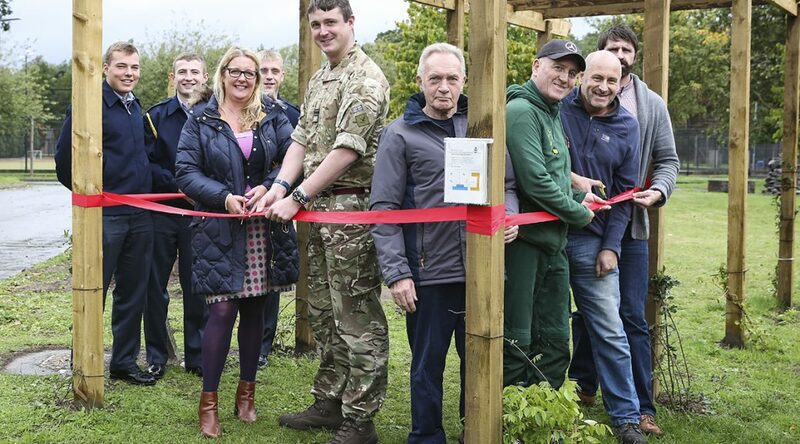 The garden was funded entirely by charitable donations and created as a joint venture between trainees at the station and inmates of HMP Kirklevington Grange. 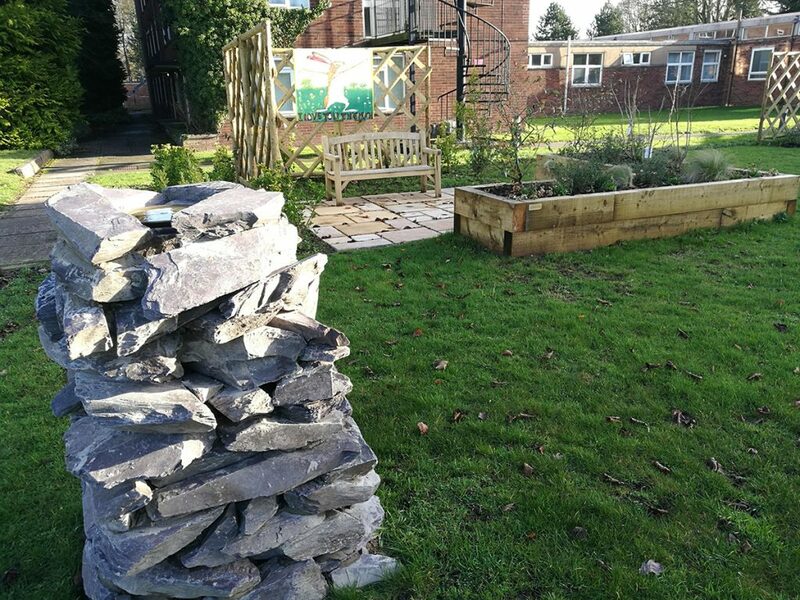 For the centerpiece of this garden, Stone Warehouse were asked to supply their Blue Slate rockery to create two Cairns built by the trainees. 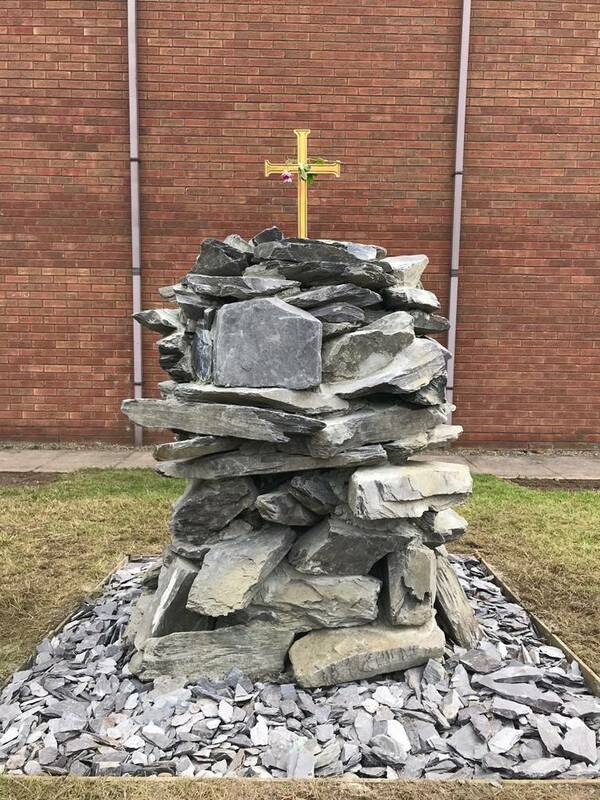 Designed to provide a point of remembrance and reflection, the Station Chaplain thought our Blue Slate Rockery was the perfect product to express this. 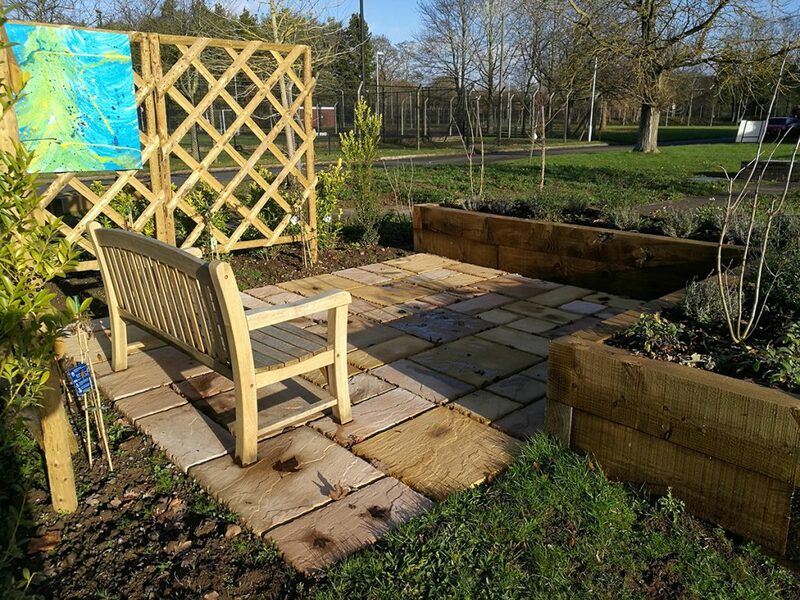 Additionally three patio areas are located in each corner of the garden and each one features a bench for people to sit on and reflect. 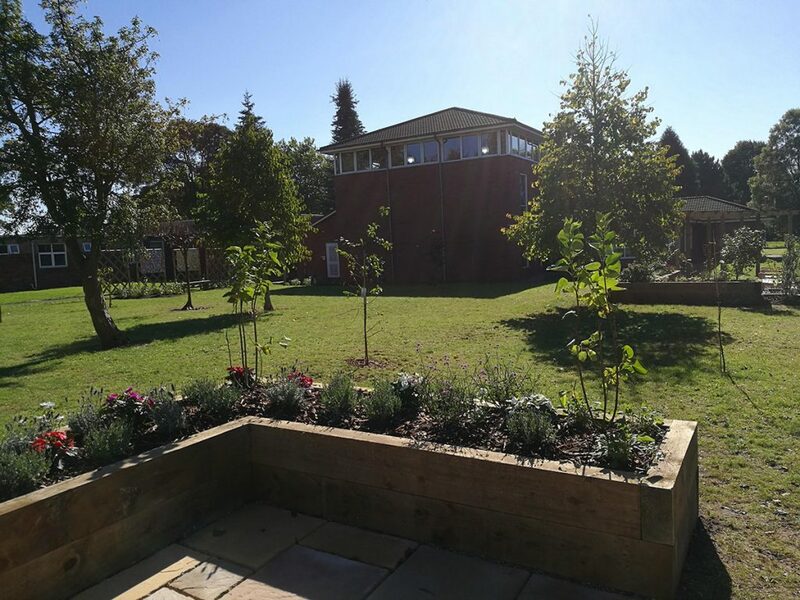 Our Canterbury patio kits were identified as the ideal product to create these areas. 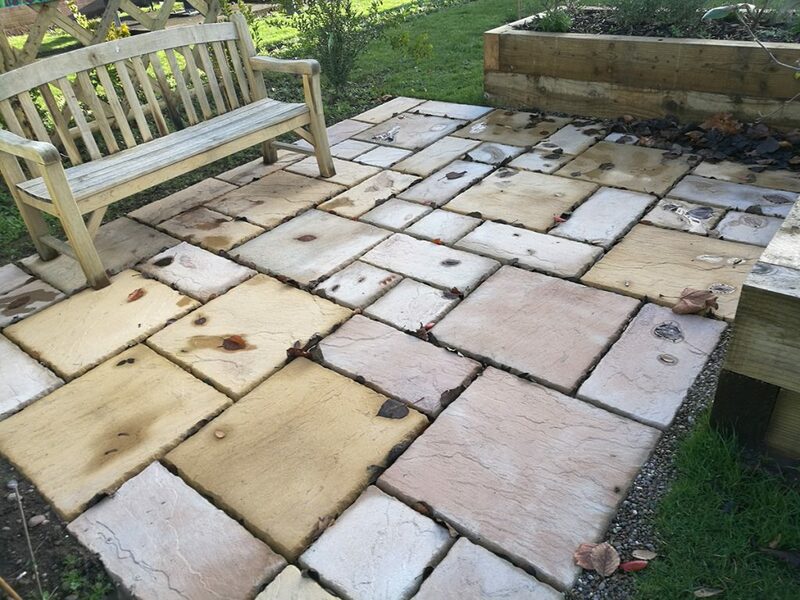 Therefore the chaplaincy requested patio packs in the Mellow Amber, Old Cotswold and Pale Ochre colour tones. This was to ensure the patios were large enough and to give each area its own identity. 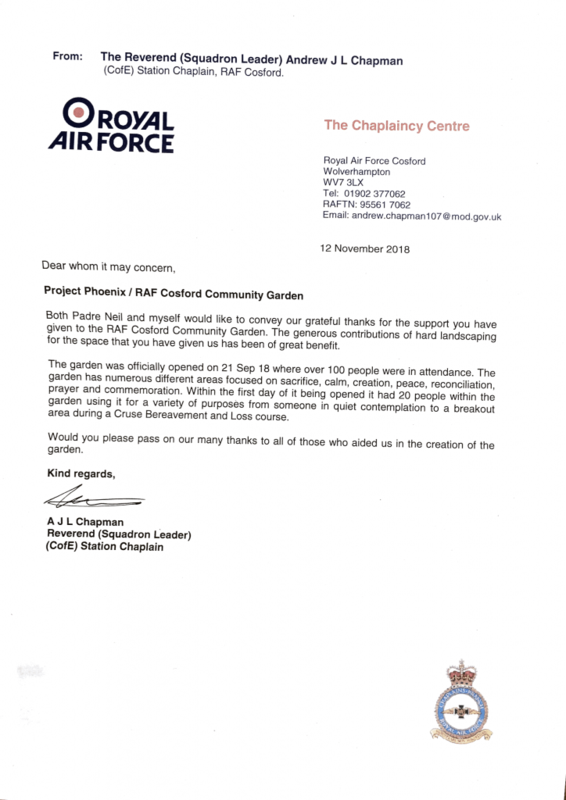 We received a lovely letter from the Station Chaplain thanking us for providing the hard landscaping for their community garden. 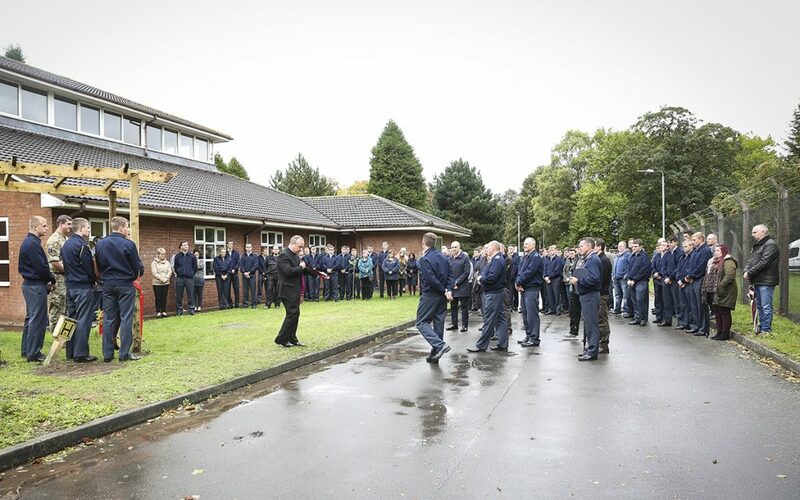 The garden was officially opened on the 21st September and over 100 people were in attendance. 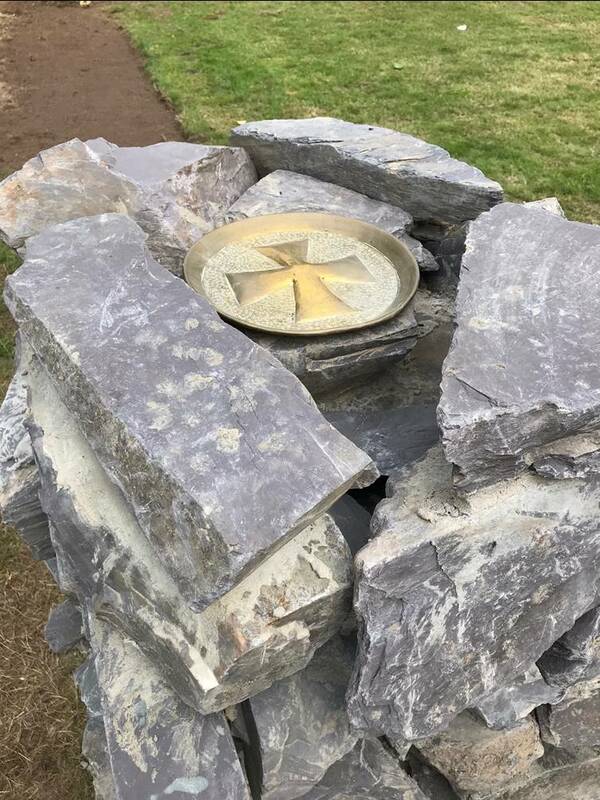 The garden has numerous different areas focused on sacrifice, calm, creation, peace, reconciliation, prayer and commemoration and on the first day of opening the garden had 20 people using it for a variety of purposes. This ranged from someone in the quiet contemplation to a breakout area during a Cruse Bereavement and Loss course. Which gravel for your garden or driveway? Our Black Basalt on TV!